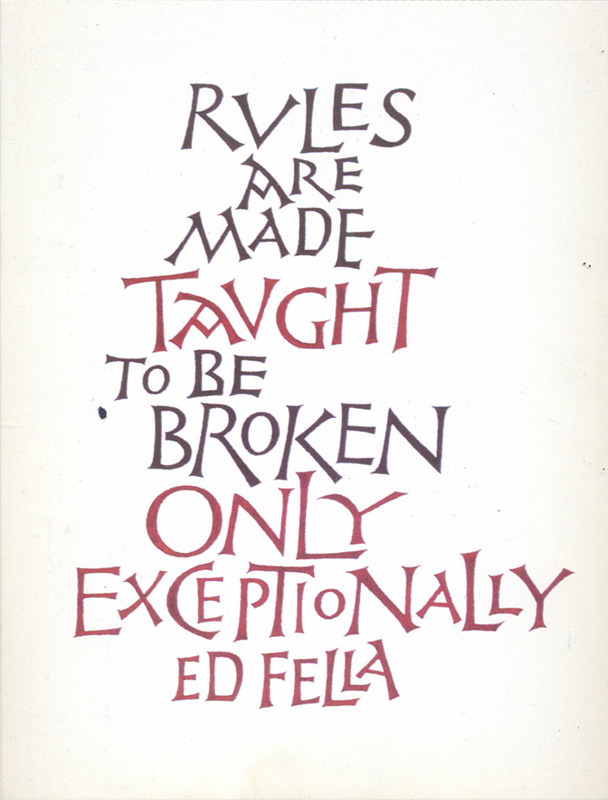 Quotation by Ed Fella (2000). Lettered with various Brause nibs and Winsor Newton designer’s gouache on Arches MBM paper. This is one of my favorite quotations about graphic design. The lettering was inspired by Early Christian inscriptions in the lapidary galleries of the Museo Pio Cristiano at the Vatican.